Reverse mortgage products are being described as the possible source of a “financial boost” for seniors with a need for supplemental income in a magazine primarily aimed at home economics and women’s interest topics, giving the supermarket shoppers who primarily buy the publication a little-seen perspective on home equity release. In her look at the possibilities of the product, Chin details both potentially positive and negative aspects for borrowers. Among the positives are the possibility of delaying the need to tap into dedicated retirement savings, an ease in deferring Social Security benefit payments until age 70 and the fact that the amount due on the loan will never exceed the value of the property being borrowed against. Among the downsides, Chin notes generally higher interest rates, continued responsibilities over homeowner’s insurance and property maintenance, and the borrower’s heirs being responsible to repay the loan in order to keep the property. 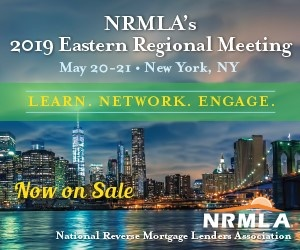 In order to educate potential borrowers on what they could get if they decide to explore use of the product, Chin points people to the calculator featured on NRMLA’s dedicated education website, as well as informing readers of the requirement to speak to an independent housing counselor. Chin also includes testimonials from people who have been positively affected by using a reverse mortgage. Read the full article at Family Circle.